What I Did On My Blog Break!!! We had a lovely Thanksgiving and I hope you did too! I enjoyed my short blog break. I got the hooks out and had some hooky fun. Cassie decided she had to help me while I had the camera in hand. 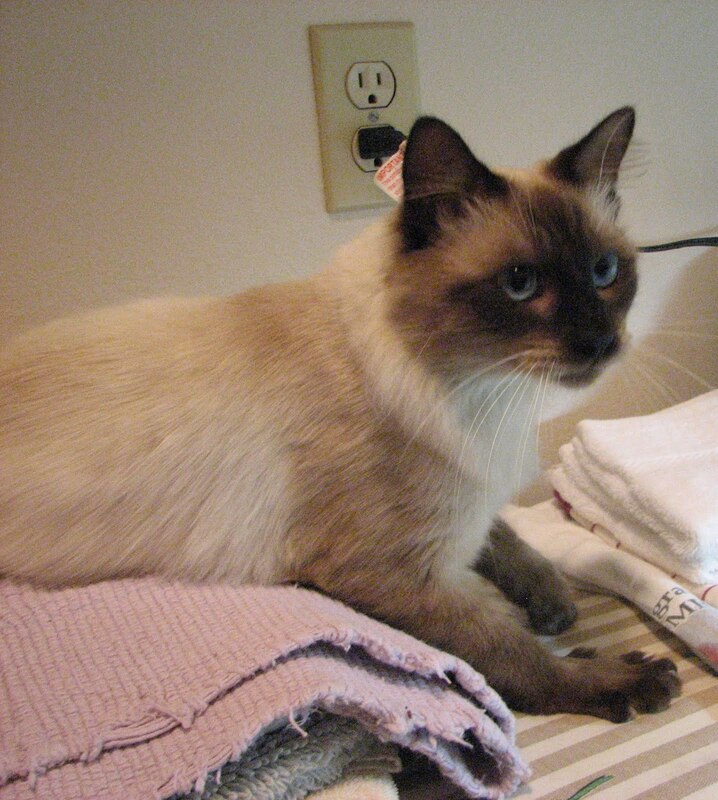 Our vet says she has a sweet disposition ... we agree ... most of the time! really cute Christmas trees, Gingerbread Men and Houses. The Ginger Bread Man and House are from a pattern of six Christmas potholders that I've had for years. I think I purchased the pattern from Annie's Attic. 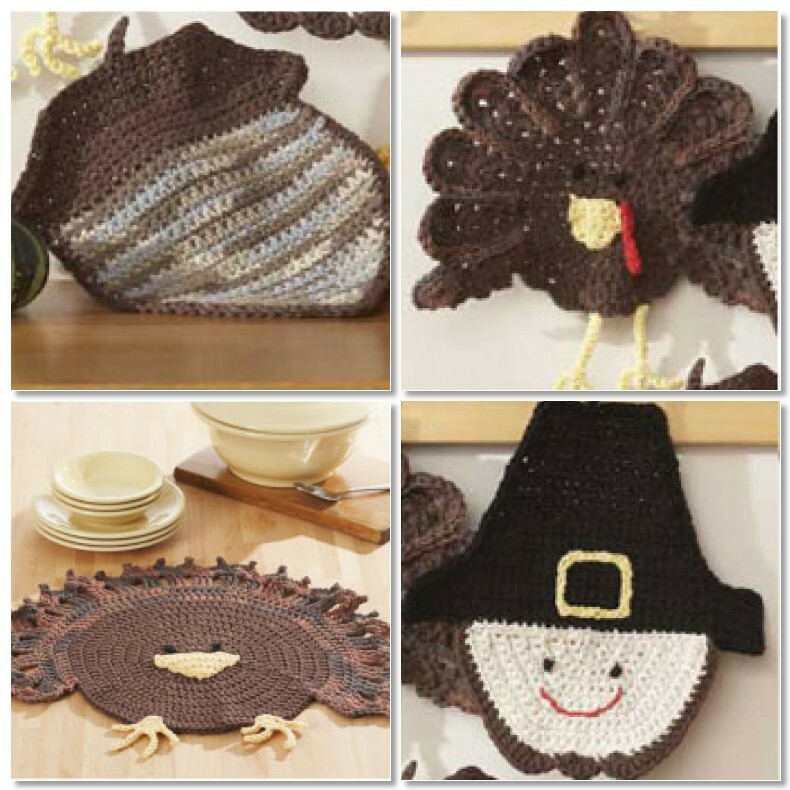 The designer is Crochet Village Designs. The trees are fun, but I have to tell you I don't like the yarn I used to make them. It was left over from a doily project I made last year. The sparkly thread running through the yarn has a mind of its own. I want it to go one way and it wants to go another! But it does make a pretty, glitzy, Christmas tree! I'd like to thank Mary for being our hostess for Mosaic Monday. Each mosaic is different and has its own story to tell. Wishing you all well and a JOY filled week! by Christine Kane Gratitude is more than being thankful one day a year. Gratitude is a practice. For some, it's a way of life. Why do some people swear by the practice of gratitude? Why do these people have joy-filled andabundant lives? In other words, why does gratitude make you happy and wealthy? • Because gratitude is about presence. It's about waking up in this moment and being here -really being here - and noticing what's around you. Most people are so busy thinking about the next thing, or about their horrid past, that they don't wake up and look around at their present moment - the only moment there is. • Because gratitude is about honoring YOUR precious life. Do you ever compare your life with someone else's? Do you ever wish your life were better and more like [insert famous person's name here]? Sometimes we can lose ourselves in wondering how we "measure up" to some standard set by our families or by the media. Comparison is the mind killer. The antidote is gratitude. Gratitude requires that you validate your own life. (And you really don't have any other life, do you?) It forces you to say YES to the gift that is you. The choices you've made and the changes you've gone through -- they have brought you here. Even if here is a place that needs a little adjustment, that's okay. There are always gifts in any present moment. • Because gratitude is about attracting. It's difficult to attract abundance and joy if you are constantly saying "no" to what IS. You say "no" each time you focus on the future or past, or when you criticize something that is in your present moment. Attraction is about saying Yes. When you say Yes, you shift. Gratitude says, "Yes, I love this!" And then more of this is attracted, because the this is what you're focusing on. • Because gratitude is about choice. How you translate any situation is the situation. What you choose to see is the truth (for you). This isn't proposing that you live in denial or phoniness. It's reminding you that your translation of any life situation is your choice. We've all heard stories of people who have ignored others' translations of their talent, their projects, their art, their looks, their lives. These people chose their own translations andsucceeded. You always have a choice when it comes to how you look at things. Choose to choose gratitude. • Because gratitude is about wisdom. I think people believe they're being smart if they criticize, complain, and focus on the problems of the world around them. It is wise to look for and find the knowing place in your heart. It is wise to choose joy. It is wise to honor your riches. It is wise to focus on and grow the blessings of your life. • Because gratitude is about recognition. Use your power of focus to hone in on beauty and on what makes your heart sing. Recognize the spirit in your life. It's all around you waiting to be noticed. In the words of Franz Kafka, "It will roll in ecstasy at your feet." • Because gratitude is about receptivity. Gratitude makes you receptive. It makes you a vessel, waiting to be filled. I carry a tiny notebook with me everywhere I go. In it, I write down song ideas. I write down quotes I hear. I write down ideas for stage stories. As I do that, I become more receptive, and more ideas and songs come to me. It's a tool that says to my subconscious, "Send more my way!" And the subconscious always responds. Gratitude is the same way. It says, "I am receptive! Send more!" And more arrives. • Because gratitude is about creativity. When I write a song, I build a relationship with that song. I spend time with it. I get to know it. I pay attention to it. Artists do the same thing with drawings. They spend time in rapt attention, and the drawing is born. Gratitude is how we Live Creative. It is a creative act to notice and pay attention to the moments of your life. Some days it's an enormous act of creativity to find things for which to be thankful. And have a Thanksgiving of presence, creativity, and gratitude! Christine Kane is the Mentor to Women Who are Changing the World. She helps women uplevel their lives, their businesses and their success. Her weekly LiveCreative eZine goes out to over 12,000 subscribers. If you are ready to take your life and your world to the next level, you can sign up for a F.R.E.E. subscription at http://christinekane.com. 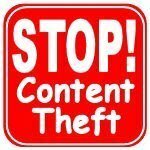 WANT TO SEE HUNDREDS MORE ARTICLES LIKE THIS ONE? See Christine's blog at ChristineKane.com/blog. Snap is still on a short blogging break, but couldn't resist sharing this with you today. 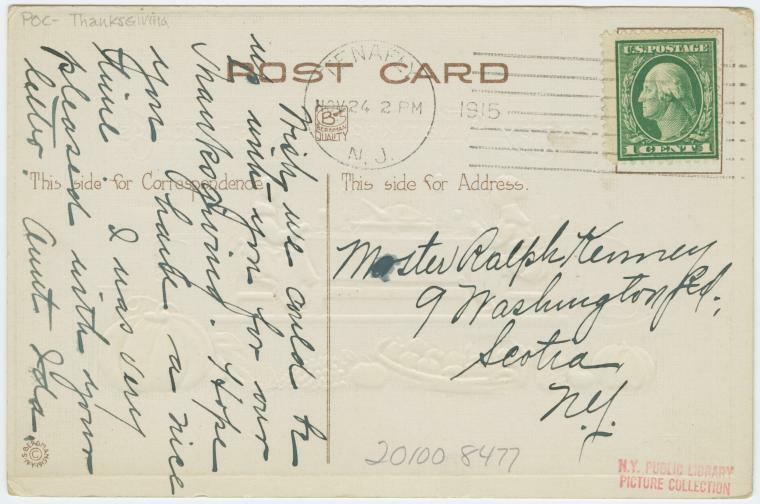 The card is postmarked 1915. I enjoyed her comment 'I was very pleased with your letter'. Letter writing -- a lost art. Beth is our hostess for Postcard Friendship Friday. 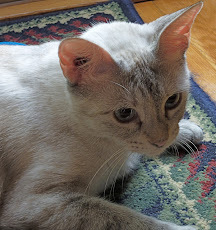 I going to be taking a small break from blogging. Think I will do some reading, crochet a little, and relax. Everyday should be a day of thanks -- don't you agree?! in what I call my rice with dragon set from China. The pattern in the clay is made using rice. Once it is fired, only the pattern is left. You can see a flower outline on the tea pot. The dragon (painted in a lovely blue) is found on the inside bottom of the cup and on the saucer. I had dim sum and tea with a friend and was reminded of one of my favorite tea stories from China when my friend tapped two fingertips on the table after I poured the tea. Over the years the Chinese imperial court adopted the custom of drinking tea. They drank it in the ornamental gardens, or in special small buildings dedicated to making and serving tea to family or friends. In the cities, pavilions for taking tea became meeting places and were visited by men who would talk politics or business or simply relax. Special equipment was developed, culminating in the decorative pots and cups that we see today. Taking tea became a formal process and different styles of making and drinking tea developed. Some of these special traditions remain today. One such tradition is to tap on the table and there is a story behind this. An emperor was concerned about the living conditions of his subjects and wished to see for himself what life was like outside the court. He dressed as an ordinary man and, taking a few guards with him, also dressed in ordinary clothes, went to a tea pavilion in the town. He asked for tea, and a pot of tea with cups was brought to the table. The waiter poured the tea and set the pot beside the emperor. When they had drunk the cups of tea, the emperor served more tea to his men. The men needed a secret way to show their gratitude and respect to their emperor and, using two fingers, his guards bent their knuckles and knocked then on the table. This was to signify kneeling before him. A reference to this tradition survives today: when your host pours you a cup of tea you should tap your first two fingertips twice on the table as thanks. There are lots of Tea Parties in Blogland. for tea cups on parade be sure to visit Teacup Tuesday. Silver jasmine is a delicate flower that adds a sweet fragrance and light flavor to green tea. Wishing you well, a JOY filled week and a great cup of tea! The neighbors are getting ready! 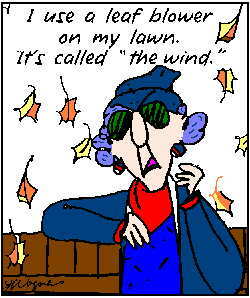 Last year my blogging buddy Christina found a fun Thanksgiving MEME. I thought I'd repeat it this year. 1. Which do you like better: Cooking at your house or going elsewhere? I like cooking at home. This year marks one year since Mr. Dragon's cancer was diagnosed. We are going to have a quiet day at home. 2. Do you buy a fresh or frozen turkey? 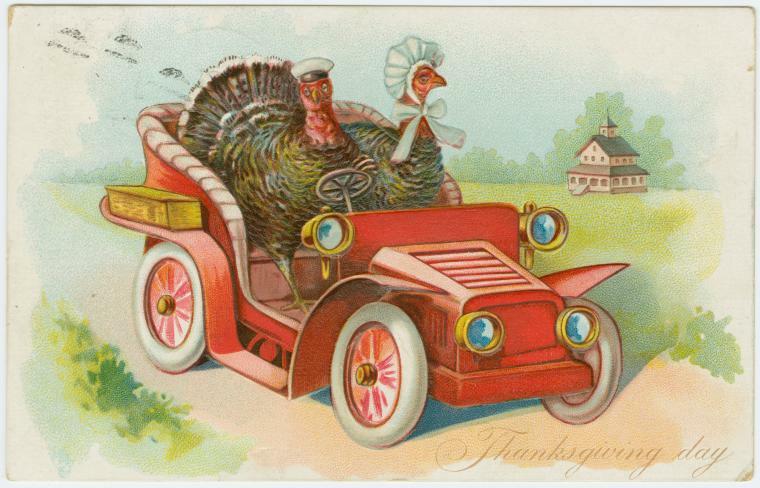 For several years I bought a fresh heirloom turkey, but was disappointed the last year I tried one. This year I'm preparing a turkey breast (frozen). 3. What kind of stuffing? Granny's cornbread dressing and this year, I'm going to add a few cranberries for color. 4. Sweet potato or pumpkin pie? 5. Do you believe that turkey leftovers are a curse, or the point of the whole thing? Can never have enough turkey leftovers!!! So many wonderful things to make with them! 6. Which side dish would provoke a riot if you left it off the menu? 7. Do you save the carcass to make soup or stock? 8. What do you wish you had that would make preparing Thanksgiving dinner easier? After all these years, I think I have it all figured out. Don't know what (or where) I'd put a new gadget! 9. Do you get up at the crack of dawn to have dinner ready in the early afternoon, or do you eat at your normal dinner hour? I learned early on to get as much done before Thanksgiving as possible so that I just have to warm things up. We'll be watching parades and football games. We eat in the early afternoon and snack the rest of the day! 10. If you go to somebody else's house, what is your favorite dish to bring? 11. What do you wish your guests wouldn't bring to your house? If you have a cold, please stay home! 12. 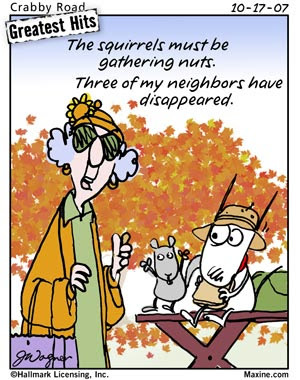 Does your usual mix of guests result in drama, or is it a group you're happy to see? A group I'm happy to see. 13. What's your absolute favorite thing on the menu? 14. What are you thankful for this year? I'm thankful that the love of my life, my knight in shining armor, my best friend is sharing Thanksgiving with me. I'm thankful for my *family by choice* (you know who you are). I'm thankful for another beautiful day on Mother Earth. Mosaic Monday is hosted by the lovely Mary. Wishing you well and a JOY filled week. "Our ancestors viewed the earth as rich and bountiful, which it is. Many people in the past also saw nature as inexhaustibly sustainable, which we know is the case only if we care for it. It is not difficult to forgive destruction in the past that resulted from ignorance. Today, however, we have access to more information, and it is essential that we re-examine ethically what we have inherited, what we are responsible for, and what we will pass on to coming generations." 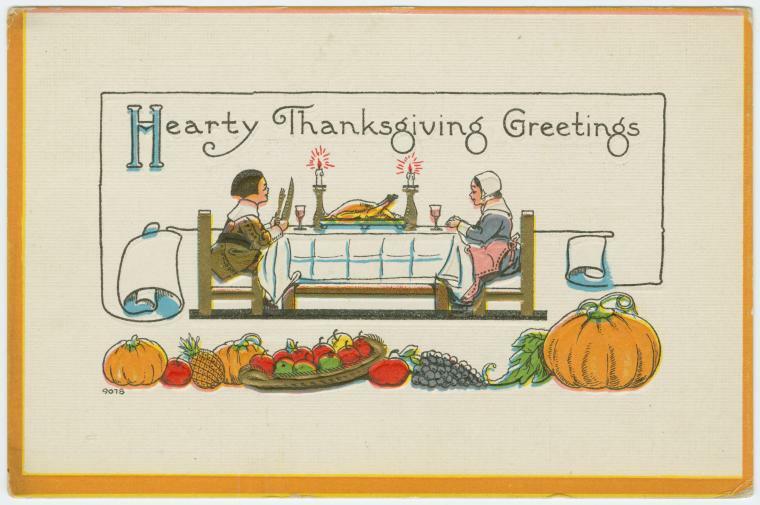 Another postcard for Thanksgiving from the New York Public Library Digital Collection. This one has memories for me. and spent many a Fall feast day with friends at Jemez Pueblo. It was a different world. Lots of good food that seemed to never end. Colorful dances to celebrate the harvest. 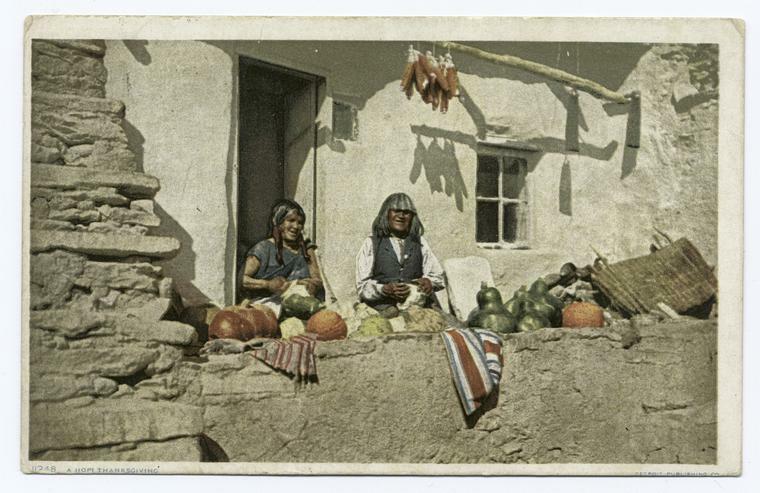 This postcard was published by the Detroit Publishing Company sometime between 1907-08 and titled Hopi Thanksgiving. The Detroit Publishing Company was an American photographic publishing firm best known for its large assortment of photochrom postcards. The company was founded as the Detroit Photographic Company in 1890s by Detroit businessman and publisher William A. Livingstone, Jr. 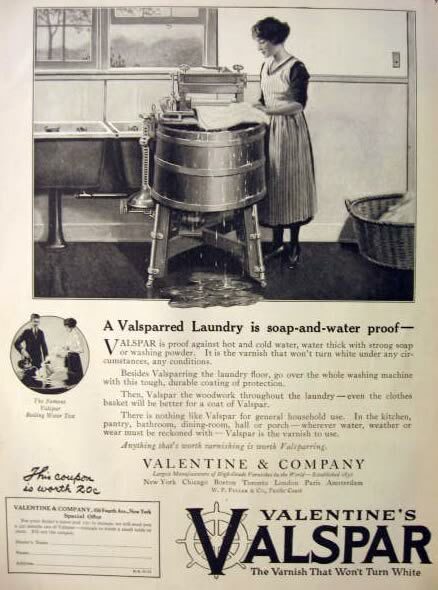 The company had the exclusive rights to the photochrom process for the American market. Photochrom is a technique developed in Switzerland which allows the color enhancement of black and white photography with the means of chromolithography. It allowed the company to mass produce photorealistic color motifs long before color photography became economically feasible. 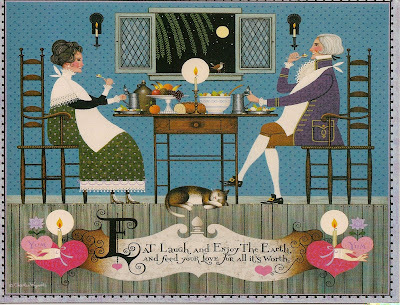 Thank you to the lovely Beth, our hostess for Postcard Friendship Friday. Wishing you well and a JOY filled weekend. by Christine Kane Each year, when we turn the clocks back, I am torn. On the one hand, I'm elated to get some extra sleep and "gain" an hour. On the other hand, it's a little sad to know that winter is coming, and the days are getting shorter. A few years ago, I noticed that I was rolling with the change of season much more gracefully - and without the same dread I had often felt. It was around that time I learned to create rituals in my days. Seasons, after all, show us what our lives are meant to be: dark times, light times, expansion, contraction, and of course... change! The great thing about darker evenings is that they allow for the perfect candle lighting ritual. Create a sacred space in your home and light candles at dusk or when you get home from work. Some of my favorite candles are antique medicine bottles I've picked up at various antique stores over the years. I fill them with candle oil and wicks. The glass reflects the flame for even more glow! I'm always on the look out for simple candles and holders. It's the season of Thanksgiving, so why not begin the habit of gratitude now, rather than waiting til the end of the month? Get a beautiful journal and commit to completing your day with gratitude. Start with a list of five things. Write in as much detail as you can. We live in such lavish abundance, yet it's so easy to speed through the days without noticing. A gratitude journal will change your life! Wake up to bird song! Winter is a great time to catch up on those movies you missed in the theaters. I keep a list in my iPhone, and any time someone recommends a movie, I take note. That way, when I get to the video store, I have a reference. You can also get great television show season re-runs on Netflix. When the clocks turn back, the mornings get lighter. Why not take advantage and wake up earlier to hit the gym? Start a fitness ritual. Exercise has been proven - over and over again! - to remedy everything from disease to depression. Hire a trainer for a month and learn some new exercises! The fitness habit will lift your mood like nothing else! Remember that idea you had for a scrapbook? Or that language learning series you've been meaning to plunge into? Well, now's the time! Winter is a perfect time to learn a new craft, create something meaningful, and get lost in the joy of a new project. Winter is also the time to go inward and lose yourself in creating. What have you been meaning to create? Any dog will tell you: Winter is a fabulous time to hike! It's cold. It's crisp. You bundle up in layers of polar fleece. And you get to experience the hidden treasures of a season that most people avoid. I'm getting the Thanksgiving decorations out. This is the teapot I use during November. I love the oak leaves and acorns around the lid. I'm having a cup of Tazo Wild Sweet Orange tea today while I go over some museum notes. The *new* (remodeled and in a new space) China gallery is now open and that means I need to rethink my food and feast tour. I've found that it doesn't matter whether I'm giving a tour to adults or to children, if I can tell them a good story they'll remember the piece I'm talking about or will at least remember their trip to the museum! One of the stories I came across is about Oolong tea. The name Oolong dates back to before the Ming Dynasty when it was still an unnamed bush. One day when the bush was in full blossom a tea planter picked some of its leaves and tried making a tea with them. He drank some and also offered it to his neighbors. His neighbors were particularly delighted with the tea, so the tea planter invited them to name the tea. One morning at dawn, a tea picker saw a black snake silently coiled around a branch of the unnamed bush. When the tea picker drew near, it slid away. Remembering the snake and thinking that it was attracted by the delicious aroma of the tea leaves, the neighbors called the tea Wu-long. "Wu" means black and "Long" means dragon or snake. (In Chinese the same word is used for dragons and snakes.) The name, black dragon tea, has been used ever since, by growers and connoisseurs alike. That's just one of the stories. I have so many to choose from! There are many tea parties in blogland. For tea cups on parade, please visit Teacup Tuesday and the hostesses Martha and Terri. Wishing you well, a JOY filled day, and a wonderful cup of tea. I get several emails daily from various yarn companies. They are all into their holiday mode sending out 12 Days of Holiday cheer! I thought I'd share a few of them with you. All of these were made from the Sugar 'N Cream cotton yarn by Lily. You can go here to see some more patterns. and Caron has just started theirs. I'm a bit partial to Caron. I think they do a wonderful job each year picking out new projects for the holidays. 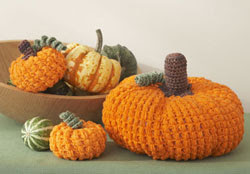 With only 48 days left until Christmas, I'm thinking I'm so far behind I should start on next years crocheting! Mary is our lovely hostess for Mosaic Monday. Be sure to visit. Each Mosaic is different. Each has its own story to tell. I try to stay positive, especially here at Twisty Lane, but I just have to share two very different consumer stories. You may remember that my washing machine quit several weeks ago. My first Maytag washer lasted 20 years. The second lasted 5 years. When was the last time you saw the Maytag Man on television? Guess there is a reason! Having the washer fixed (the transmission) would have cost almost as much as a new washer. So, we did our research and went to Lowes to buy a new washing machine. The day it was delivered a huge Lowes truck pulled up out side the house and two large gentlemen got out, came in the house, looked to see where the machine would go and announced, "we can't get it up the stairs and no one told us we would have to take the old machine away". So after some mumble and grumbling, we had them take the washer back to Lowes. To make a long story short, we bought our new washer at Home Depot, where they contract the delivery to a *professional* delivery service in their shiny, clean huge pickup truck and trailer. There was no problem about taking the old machine away and taking the new one upstairs. Gold Stars for Home Depot! So, I have mellowed in my dismay with Lowes and will go back in again, but I will only buy what I can get in my car and install myself! The second story is: I ordered from Victorian Trading Company and two of the items arrived broken. No problem. They couldn't have been nicer. They emailed a return postage label, off it went, the credits were made, and a new item arrived in the mail yesterday -- not broken. Victorian Trading Company you rock! I promise, I won't make a habit of reporting on consumer issues!!!!!!!!!! I am sunburned from watching a baseball game yesterday and don't mind at all. It's Saturday and that means Critter Day! we shared a drink and sat watching for any action on the pond. It was late in the afternoon and everything was quiet. I saw the egret fly into the tree and thought it was probably too far away to get a good shot. I took several shots and when I uploaded the images when I got home I found this one. I didn't see the second egret when I took the shot. Did you know that a group of turtles is called a bale? Here's a bale of turtles on a very small island in the pond. Camera Critters is hosted each Saturday by the lovely Misty. We have a college baseball barbecue today! I'd like to share one from the New York Public Library Digital collection. 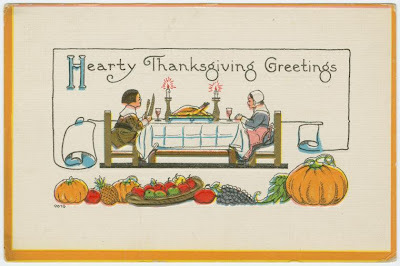 It is a Raphael Tuck & Sons Thanksgiving Postcard dated around 1907. Raphael Tuck & Sons were proudly known to be the Publishers to Her Majesties the King and Queen, with printing houses in London, Paris and New York. They began in London, England in 1866, selling pictures and frames. Raphael Tuck was joined by his three sons in 1871 and published their first Christmas greeting card. In 1893 they were granted a Royal Warrant by Queen Victoria. Adolph Tuck, one of the sons, produced their first picture postcard in 1894 of Mt. Snowden in Wales, which was sold to tourists visiting the site. The first series of numbered postcards was printed In 1898 which was a set of 12 lithographed vignette views of London, numbered 1 to 12 with the "Tower of London" being postcard #1. They entered the postcard market in the United States in 1900 with an office in New York. 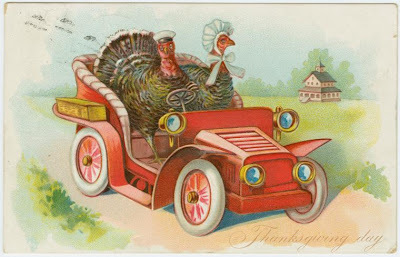 American artists designed many of the postcards, but the cards were printed in Europe (Germany, Saxony, England) and then returned to the states for sale. Unfortunately, like many other postcard printers and manufacturers of their time, the history, records, original paintings and postcards of Raphael Tuck & Sons were destroyed during the bombing blitz of London during World War II. Raphael Tuck & Sons were prolific printers and produced Books, Postcards, Greeting Cards, Die Cut Cards, Fringed Silk Cards, Scrapbooks, Puzzles and more. Be sure to visit with the lovely Beth, our hostess for Postcard Friendship Friday, where you'll find a variety of postcards to visit. 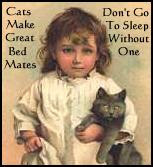 Happy PFF and have a wonderful, restful, fun filled weekend!